One of our founding principles when we first started Complete Physical Rehabilitation was to make sure that each and every patient receives quality care. That means personalized programs, one-on-one time, and the creation of a comfortable, family like atmosphere. We have always felt that the best Physical Therapy recoveries begin with those three things, especially when trying to recover from injuries or major surgery. 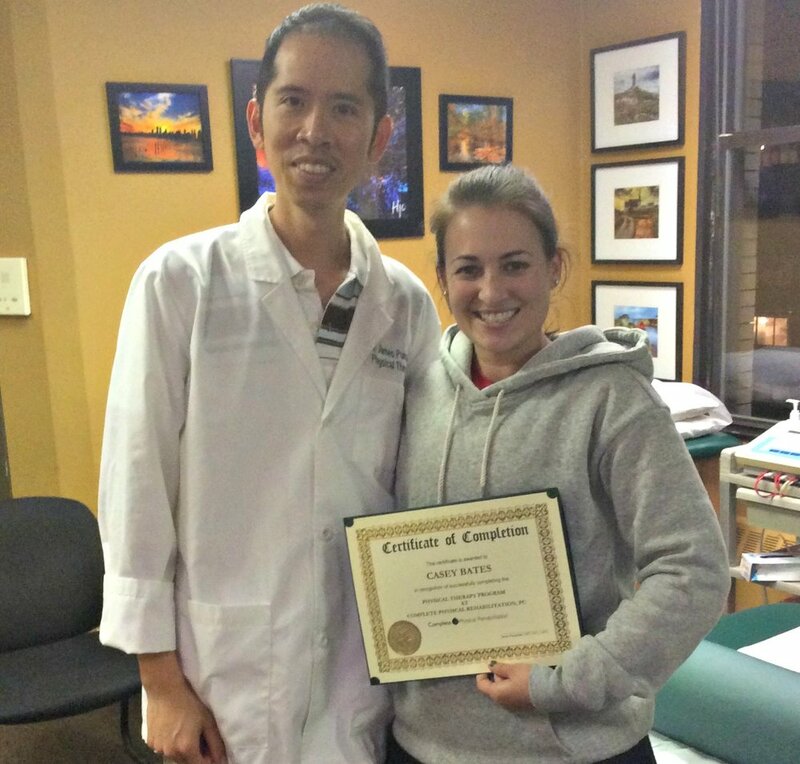 With Casey, we knew that she was in the right Physical Therapy clinic because of the complicated nature of her case. And we’re so happy to say that she is now PAIN FREE after surgery and is back at work with absolutely no problems in her shoulder at all! We are so proud of all that she’s achieved in our clinic! Jersey City Physical Therapist Dr. James Pumarada with Casey Bates, a happy Complete Physical Rehabilitation patient! “I came to Complete Physical Rehab for a bicep/shoulder injury. After a few months of PT, surgery was inevitable, but the doctors and staff at Complete Physical Rehab led me to a full recovery. After years of pain, I’m finally living a pain free life and am able to get back to the physical lifestyle that I was prevented from with my injury. I’m performing at fitness levels that I haven’t achieved in years and I owe it to the great staff here. Dr. James, Humberto, Chris, Robbie, Nikko, and Krys have become like my PT family and I’m forever thankful for all their care and dedication that they put into my recover! I’m finally able to sleep and exercise without pain. I can perform my job with full confidence and not worry about pain or weakness interfering with my work performance. The personalized treatment that I received here was like no other. While some visits may have been painful, the doctors and staff always helped me through with smiles on their faces. 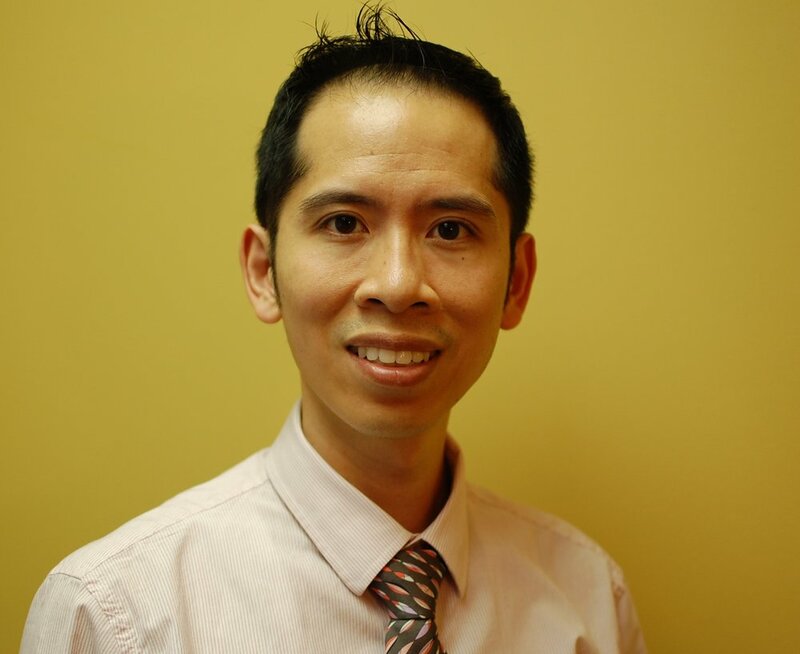 The staff was extremely flexible and accommodating and I will recommend them to anyone in need of PT.